In 2012, more than 136,000 children across the country, including more than 67,000 children 4 and under, were injured due to a fire or burn and treated in emergency rooms. 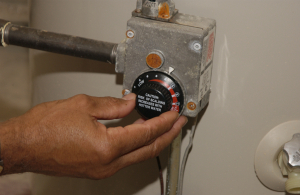 Set your water heater thermostat at 120 degrees Fahrenheit. Childproof outlets. Children can insert metal objects, such as forks or keys, into outlets, causing electrical burns. Cover unused electrical outlets with safety devices. Remove items that can burn easily. Keep matches, gasoline, and lighters locked away and out of children’s reach. Do not use these items for fun – children can imitate you. Establish a “kid-free zone” and avoid hot spills. Keep children away from cooking and heating appliances (e.g., space heaters, fireplaces, irons, hair styling tools). Never leave the kitchen while you are cooking. If you must leave the room, take the child with you. Cook with pots and pans on back burners and turn handles away from the front. Never carry or hold children and hot foods or liquids at the same time. Do not allow young children to use the microwave. Test food and drink temperature. Never microwave your baby’s bottle. Drinks heated in a microwave may be much hotter than their containers. Heat bottles with warm water and test them before feeding your baby. Be safe around heating appliances. Place space heaters at least 3 feet away from curtains, papers, furniture and other flammable materials. Make sure heaters are stable, and use protective coverings. Always turn space heaters off when leaving the room or going to bed.